A fun Halloween card design from the people at VectorOpenStock.com. 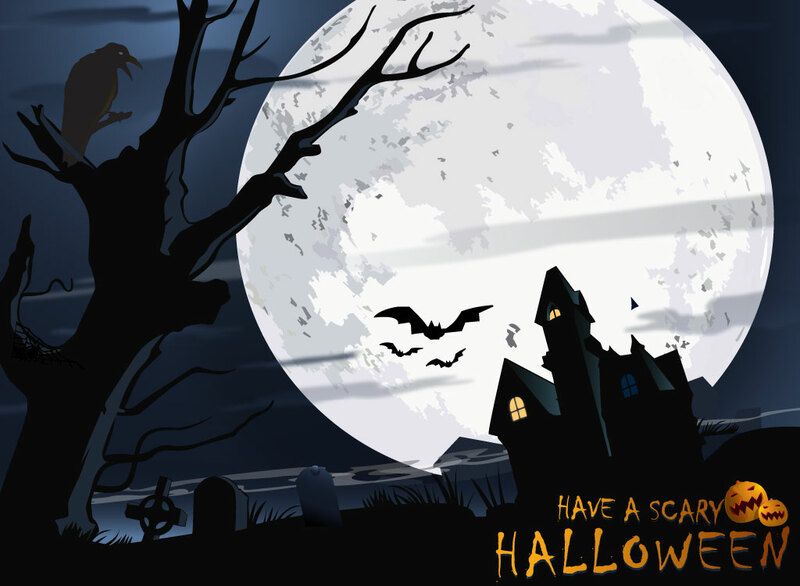 A haunted house, creepy moon, grave yard, scary tree and raven make up this great graphic. Download this cool vector for your October projects as an AI and PDF. Tags: Bats, Halloween, Haunted House, Moon, October, Pumpkin, Raven.